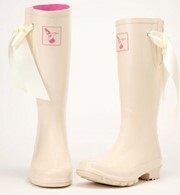 Pearlescent white weddington wellies, perfect as a bridal shoe for every weather eventuality. 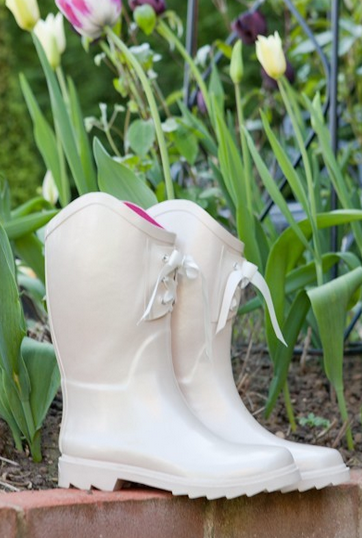 The welly boots are highly comfy with a soft pink cotton lining, ideal for your special day when you are on your feet all day long. 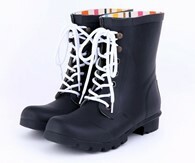 The wellingtons have a cowgirl cut design and a corset lace up front with a satin ribbon. The ribbon can be replaced with another colour to match your wedding colour scheme. 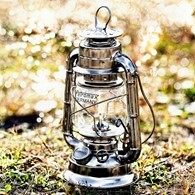 These wellies are great for beach, farm or country weddings or for someone who likes something a bit different. 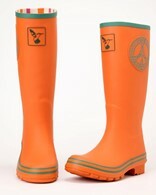 The wellingtons comes in a box with a draw strong bag for each boot. 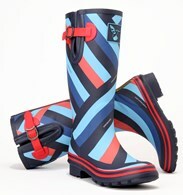 There are no reviews for Weddington Mid Calf Wedding Wellies Bridal Shoes.